On Tuesday Netflix reported its fourth quarter earnings which beat analysts’ expectations. The company posted earnings of $0.07 per share, and analysts’ were expecting only $0.02 per share. This is a good beat in earnings, but what a lot of investors should know is that the same quarter last year saw earnings of $0.10 per share. The earnings, although beating analysts’ expectations, fell from last year. What’s really impressive though is that the revenue was not just a minor beat, instead the revenue went above and beyond analysts’ expectations. The company reported revenue of $1.82 billion compared with analysts expecting only $1.49 billion. Netflix did quite well this quarter, especially since it has focused its efforts on expanding its service internationally. Matter of fact, the company has been able to expand its service to over a little more than 190 countries. Outside the United States, the company added 4.04 million net subscribers which most definitely beat expectations of $3.51 million net subscribers. This metric was a key one for investors, because the international growth story is important for the share price. That’s not to say that the United States subscriber growth should be ignored, but it has already seen a point where the growth is near a cap. On the other hand, countries outsides the U.S. provide an excellent growth opportunity. Netflix needs to find a way to continue this subscriber growth, otherwise they will lose traction quickly. One way the company is accomplishing this is by creating original programs. These original programs cost more than buying content, but they bring in new subscribers. For example, the company increased subscribers last year in the first quarter of 2015. This increase in subscribers was attributed to original programming titles like “House of Cards”. House of Cards alone added millions of subscribers to its user growth. Since then the company has been on a roll adding additional original programs such as: Marvel’s Daredevil, Marvel’s Jessica Jones, Sense8, and many others. Shares of Netflix were up in after-hours trade on Tuesday, after the earnings were released. Although, the next day on Wednesday shares closed flat. The company guided that it was seeing a slowdown in U.S. subscriber growth, and stated that it would add 1.75 million new subscribers for the current quarter. The fall is attributed to the fact that analysts were expecting a higher net add in subscriber growth for the U.S. territory. In terms of international subscriber growth Netflix is expected to add up to 6.1 million subscribers in the first quarter of 2016. That is a quite an impressive number, and its not even including China. The company is aiming to get Netflix service to China sometime in 2016, but it states that if it can’t it may have to push it back for the following year. China would be an enormous market for the company to tap into, and its international growth should increase once it launches there. There is a slight problem though, and that is Netflix needs to first get a license from Chinese regulators before it can operate there. CEO Reed Hastings has stated that he has been meeting with China regulators in an attempt to be able to bring streaming service to the country. There is no way of knowing if this can be done this year or if the company will have to wait a few years before it can get in. The point being is that it should eventually be able to get service in there, and that would do wonders for its potential revenue. Do Chinese people really want Netflix service? There are some other streaming services in China like Alibaba launching Tmall Box Office recently. But the good news is that there is not only a small fraction of demand but a huge demand. According to GlobalWebIndex, a U.K. based research firm, there are approximately 21 million users in China that use a Virtual Private Network –VPN — to access Netflix service. The VPN function is an ability for users to mask their geographic location so that they can access services in other countries. In the instance of Netflix, users in China can only get Netflix by using a VPN, bypassing the legality of service in certain territories. The Netflix story is still intact, which is why I believe that it is still a great idea to buy shares of the company. International growth is important, even though U.S. growth hast started to slow down greatly. Investors should look into the long-term prospects of the company, and those prospects seem to be bullish. Remember that the company hasn’t even tapped into China yet, which is an even bigger market than the U.S. The United states as of 2015, has an estimated population of 315 million people. That is a pretty big market, but Worldmeters estimates that China has a population of 1.4 billion people. Think about how much money Netflix could potentially make if it finally establishes service in China. 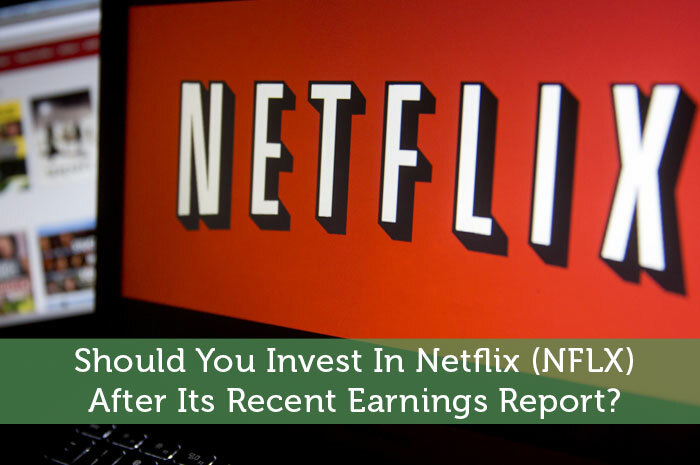 For this reason, and many other reasons listed above I believe that Netflix is a great investment after its recent earnings report. Hey terry don’t u think at a current valuation of Netflix. the market has already included the Chinese massive subscribers and the whole wold ?Currently Netflix earns little over 100 million annually. with this little earning Netflix should have a market cap hovering around 2 billion not 50 billion. The maker has price this stock based on a 500 million subscriber and a increas of a monthly price of 20 dollar. That would be earning of 3 billion annually to justify a hefty 50 billion valuation.